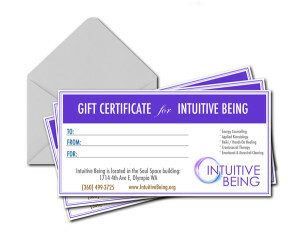 Certificates can be used as gifts for family members, friends, colleagues, employees … anybody you feel deserves to shine brighter and be free of what’s holding them back. Give us a few details about the type of gift you want to give below. We can customize your gift to whatever you want; just specify what you want in the Comments section.